I was chatting away to a lovely colleague, Hayley, the other day and I got a whiff of her perfume. I had to comment on how beautiful I thought it was and this started us on a long discussion of perfumes and good ones that were on the market. We both have similar tastes; light, floral, sweet, summery scents. 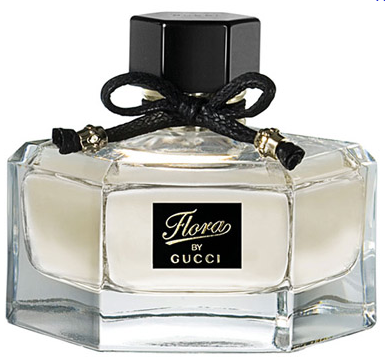 The one she was wearing at the time was Flora by Gucci (I’m going to shout myself – don’t tell Husband). 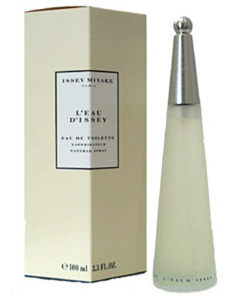 I have had a favourite fragrance for a long time; Issey Miyake, which is also a floral, sweet, summery scent. I adore it. I also have Kate Moss’s ‘Kate Moss‘ and Mariah Carey’s ‘Luscious Pink‘ (This one was a gift from the gorgeous Holly – LOVE it). As it is quite special (and quite expensive) I often save my favourite perfume (Issey) for special occasions, such as dinner outings, parties or date nights (doesn’t really get used all that often these days, sadly). The other two are my everyday or work perfumes, that I still love, but am more liberal with their spraying. This got me to thinking…is this normal behaviour? Do you have THE ONE perfume? Or do you rotate your collection of perfumes RANDOMLY? Or with more order? Tell me ALL please! This entry was posted in Love and tagged beauty, Luscious Pink, Mariah Carey, Perfumes, Question of the Week by sewandbakeandlove. Bookmark the permalink. Chanel is my go to brand. I got my first bottle of Allure when I was 18 and never went back! I too loved sunflowers! Haha. I mostly use allure but also sneak in coco mademoiselle. However, I walked through a waft of the Eli Saab fragrance a month ago and loved it. Very different. So shouted myself a bottle in Singapore! It’s lovely but only comes in parfum so quite strong. I love that I know what my friends are going to smell like. In fact, there are a few people who I think if they used a different perfume I’d be weirded out as I have come to know and love their signature scent! Lucky girl! I was surprised Husband was even reading my blog – I doubt he’ll smell the new scent! Fragrances are such fun and I think we should use what we like when we want to. At the end of the day, scent is so connected to memories and I love it when I am complimented on my scent. 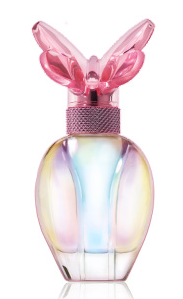 My favourite perfume (which I don’t own at the moment since I am plowing my way through three 200 ml Chanels) is the Estee Lauder Pleasures Intense Exotic. It is a compliment-magnet and I think I am going to buy it again, I just need a gift with purchase to come on at either Myer or DJs. OOh that one sounds lovely! Love a good compliment magnet! I kid, it’s not ‘quite’ that bad…I do like wearing some more than others, while others are strictly for special occasions. I find my taste has changed quite a bit over the years, I have the Kate Moss one too, and I love White Musk too (although it really gives me flashbacks to my high school days).